Kenyan and Ethiopian hearts must have sunk as they watched Mo Farah speed around the final stages of his 5000m at the Müller Anniversary Games on Saturday (July 23). The Briton broke away from his rivals with 2000m to go and covered his last lap in 56.9 as he clocked the fastest time in the world this year with 12:59.29. For the distance runners of East Africa, the question of ‘how to beat Farah’ seems as impossible as ever. 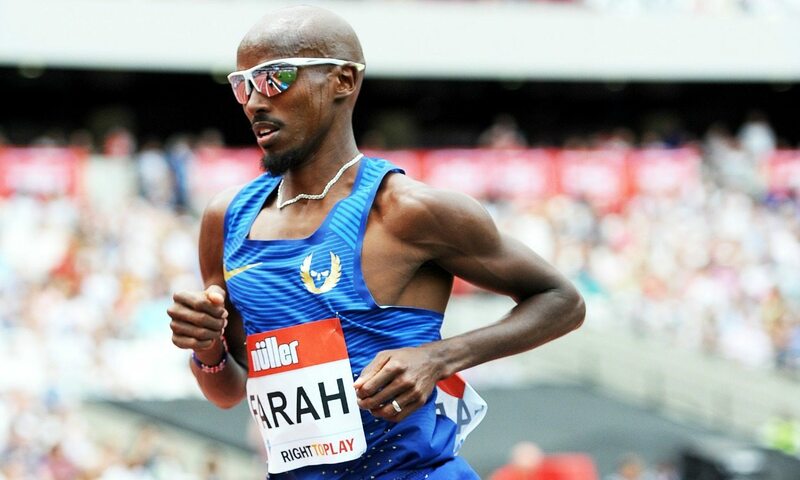 Racing in blue kit and sunglasses in front of a roaring crowd and in sticky temperatures of 26C, Farah looked coolness personified as he limbered up for his Olympic titles defence in Rio. Fine runners like British champion Andy Butchart, US champion Bernard Lagat and Kenyans like Isiah Koech, Paul Koech and Edwin Soi were left trailing in his wake as he surged effortlessly away from them, although Butchart rallied superbly to run his last kilometre only a second slower than Farah and, impressively, clocked an even quicker final 400m as he ran 13:14.85 for second place. An entertaining two days at the Olympic Stadium saw a world record in the women’s sprint hurdles and British records in the women’s 1500m and 4x100m team, prompting questions of whether this was the greatest grand prix athletics meeting ever seen in London. Usain Bolt lit up the final moments of Friday night, while Jessica Ennis-Hill returned to the scene of her London 2012 heroics to stretch her legs in the sprint hurdles and long jump. Yet few athletes can create as much noise in this grand arena as a distance running icon spinning around the track at the height of his powers. During Farah’s last lap the crowd stood to applause their hero. The 33-year-old, who began life as a winner of the Mini London Marathon on the streets of the city, is now multiple Olympic and world champion and has earned their respect. Given this, it seems apt that the splendid little warm-up track next to the main stadium will soon become the home of Farah’s club, Newham & Essex Beagles. Even the critics who sometimes bemoan his sit-and-kick tactics in slow races were silenced on Saturday as he produced an exhibition of front-running brilliance over the last five laps. Farah had obviously come to this meeting determined to test himself ahead of Rio and this was one race he was not just content to win with a show-boating final 200 metres. To Farah’s likely rivals in Rio – such as Caleb Ndiku and Geoffrey Kamworor of Kenya or Hagos Gebrhiwet of Ethiopia – I wish them luck. Because whether the pace is fast or slow, only an accident, tactical blunder or sudden loss of form due to injury or illness can surely prevent the Briton from defending his titles. After that, I’m not alone in wanting to see him attack Kenenisa Bekele’s world records for 5000m and 10,000m, with Zurich or Brussels in early September logical targets if he still has any energy left in his legs.